we have a new challenge this month and our sponsor for the month is Annes Digital Art. I coloured it with Promarkers then inked around the edges, layered onto some brown glitter card. I used a hessian background paper and bordered with a brown gingham, all layered onto a dark red base card. 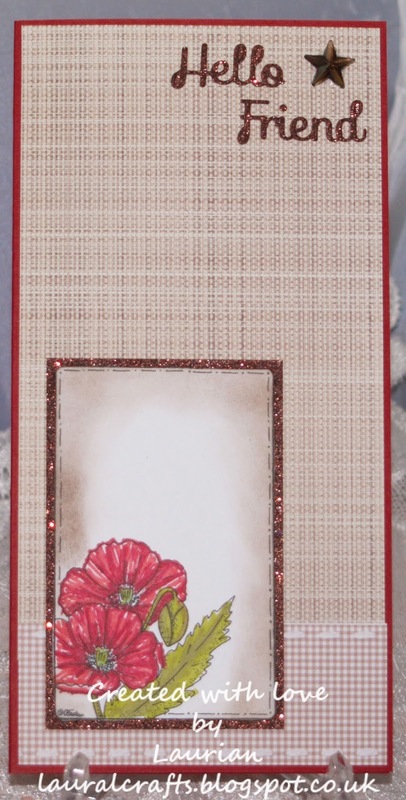 The sentiment was die cut from brown glitter card and I accented with a brown star. A definite 'go to' image!, if you're not a member why not join us, we have a different artist's image each month and we hope it will open up some new digi artists to you. so come on over and join us!